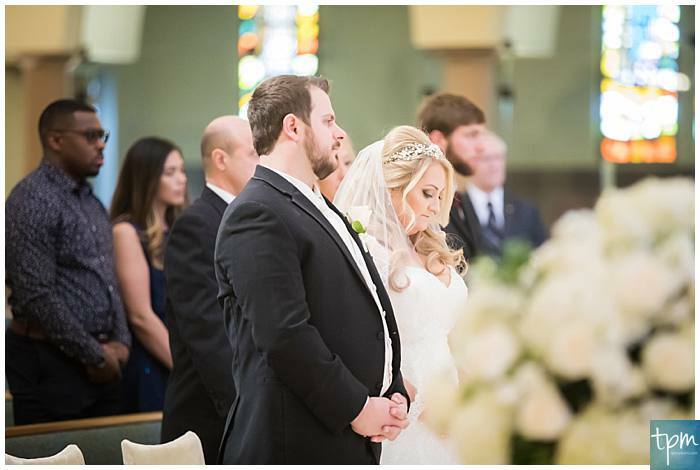 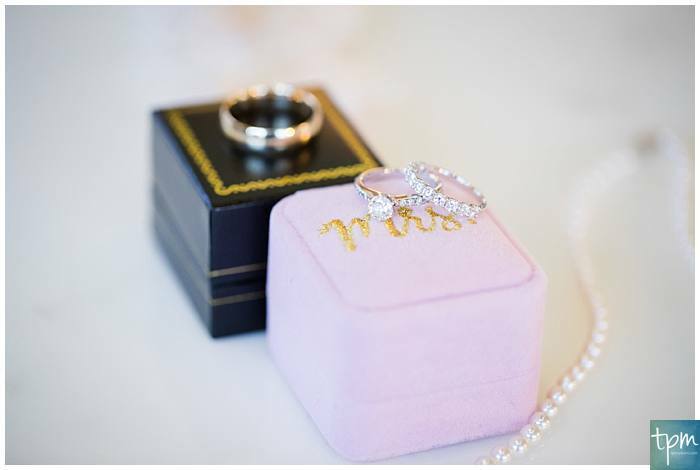 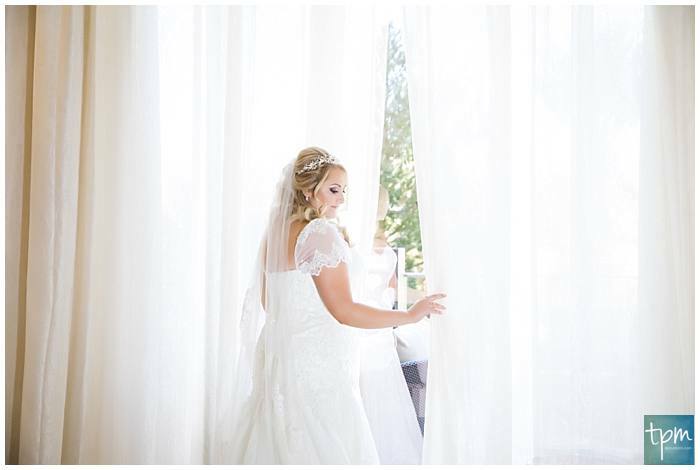 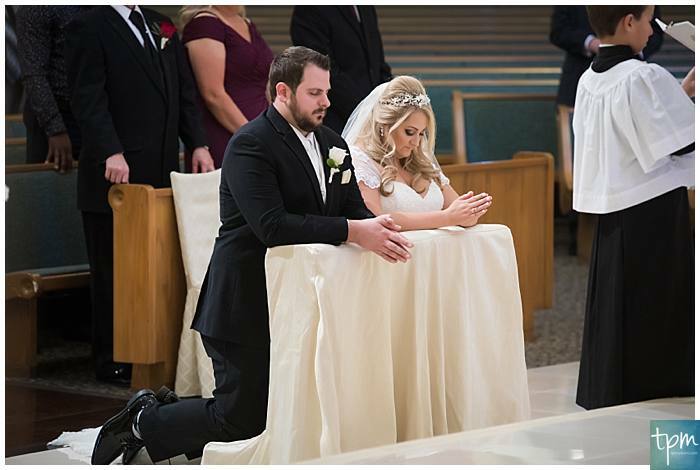 Sometimes, a beautiful Vegas Church Wedding is just what the happy couple is planning in a traditional union with the undying faith that defines their love and commitment. 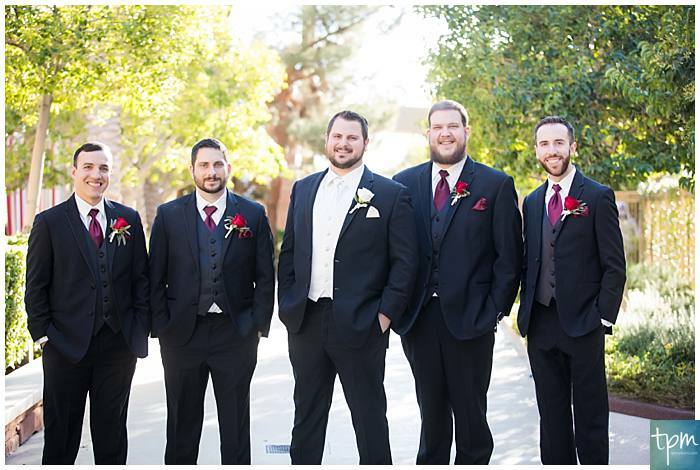 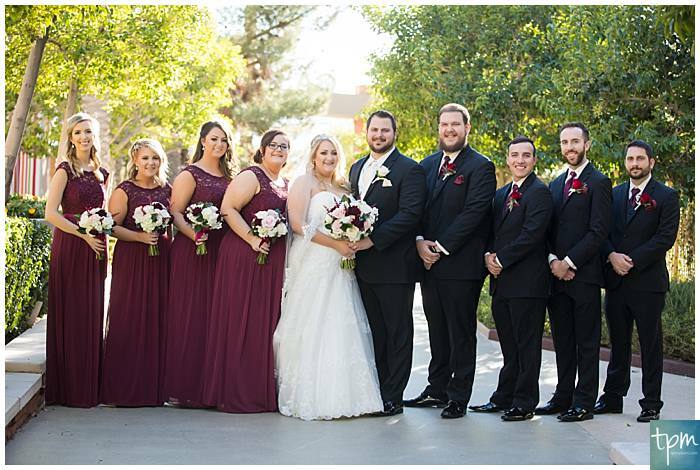 Las Vegas is an iconic spot for tying the knot, and for those of you seeking the desert paradise without the bright, busy lights, our Red Rock Casino wedding is the perfect venue for a memorable reception. 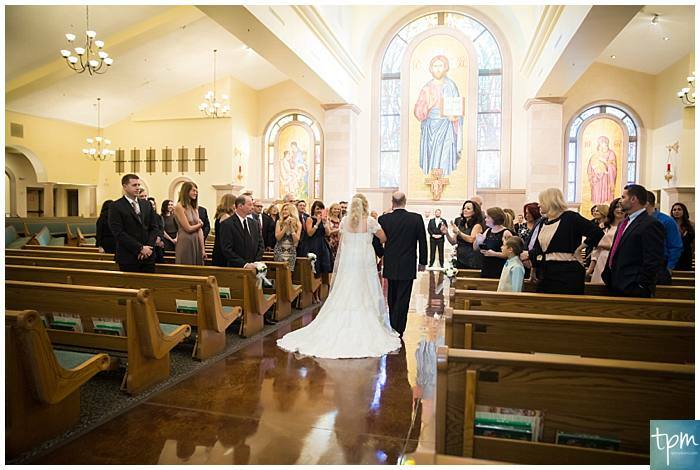 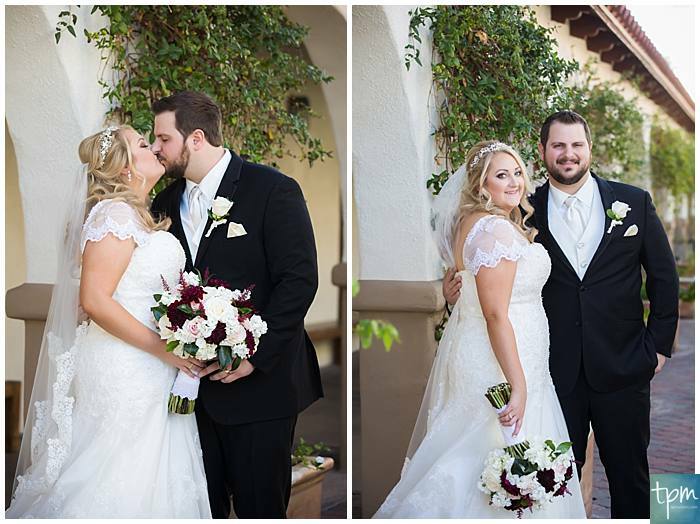 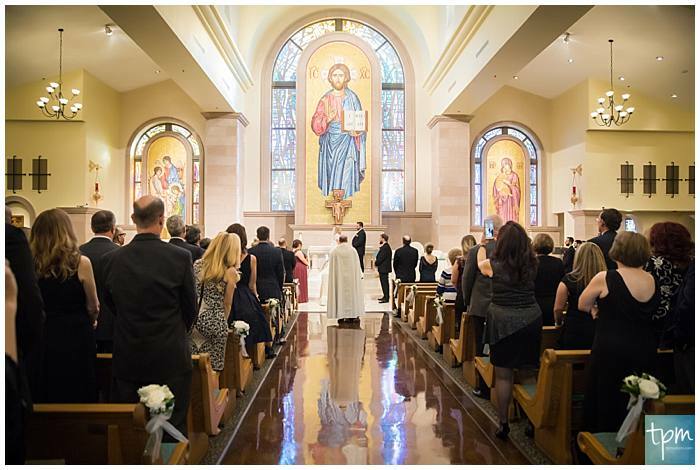 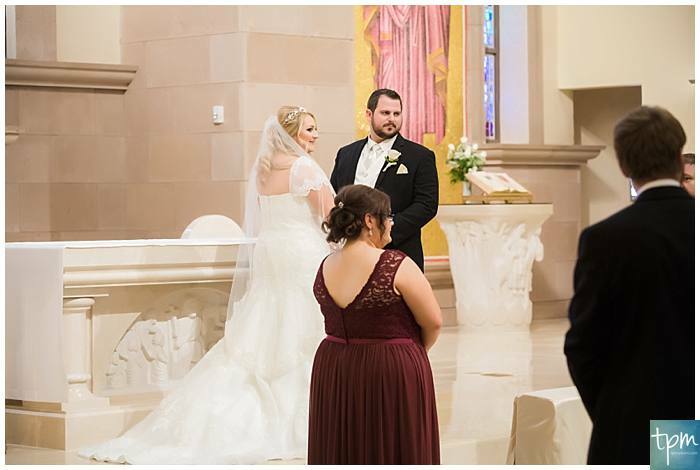 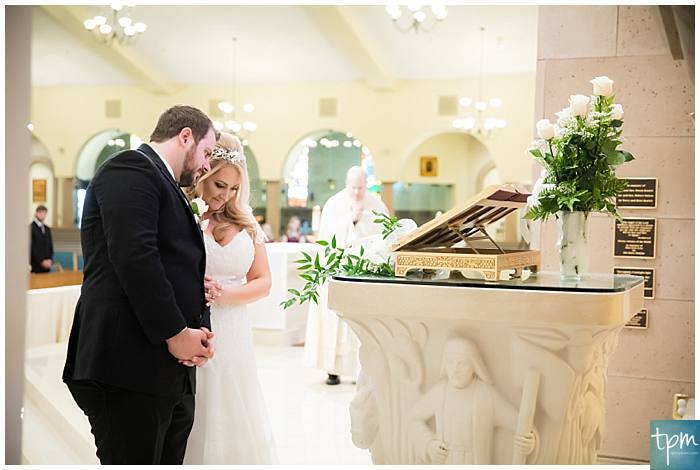 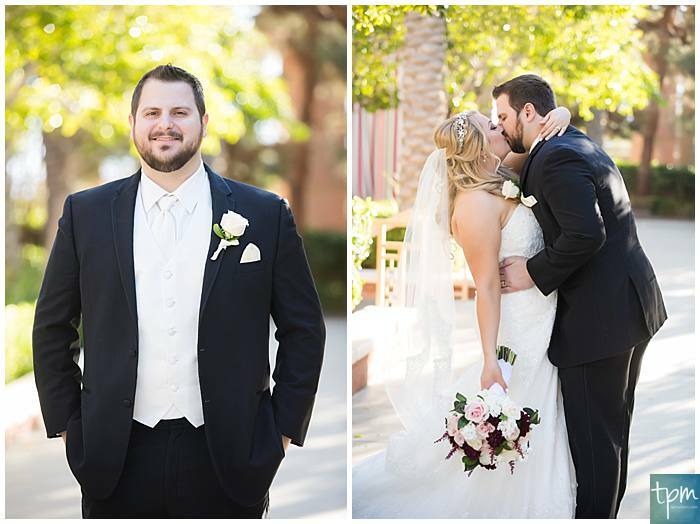 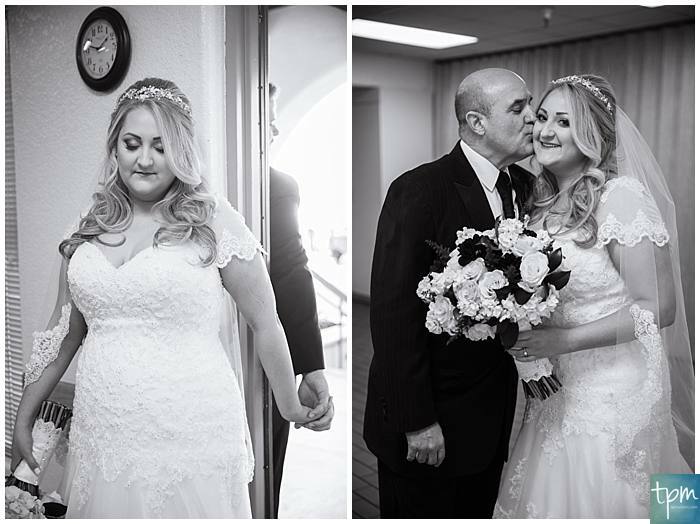 Our lovely couple, Nina and Brian, chose to walk down the aisle of the statuesque Husband of Mary Roman Catholic Church located at W. Sahara Ave in Las Vegas. 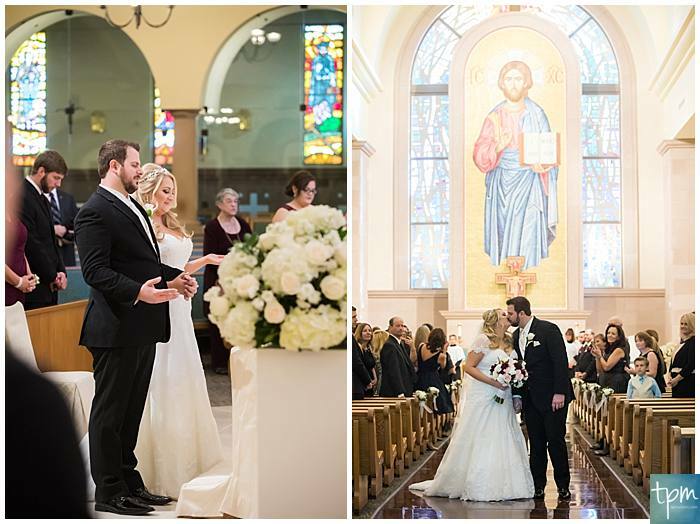 The impressive church with its bell and clock tower and tall palm trees lining the entrance and courtyard made their nuptials scene truly special. 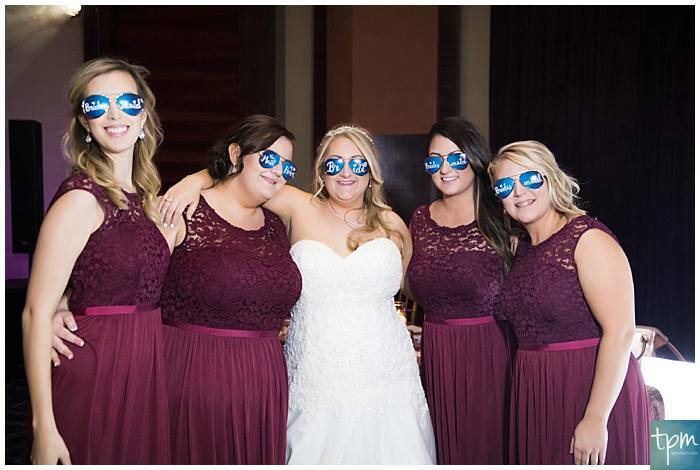 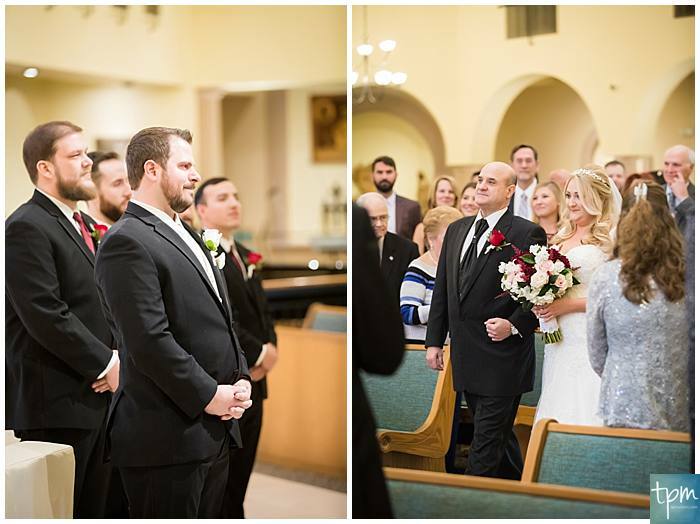 Nina and Brian were able to accommodate their family and friends with four bridesmaids and four groomsmen in an elegant wedding service at St. Joseph, Husband of Mary Roman Catholic Church. 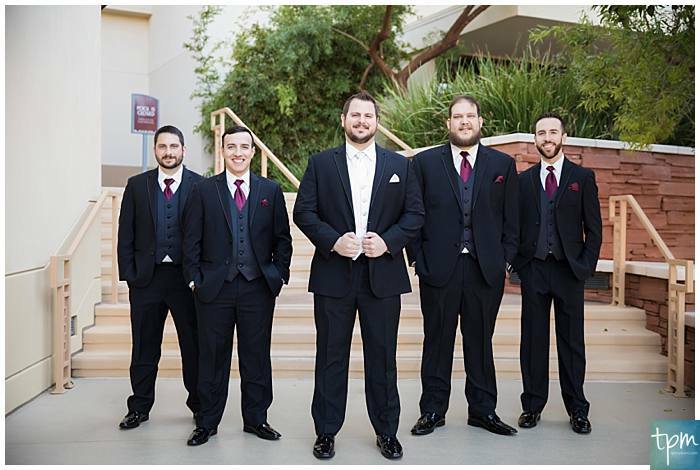 Our Las Vegas Photographers captured each precious moment and expression of love for this Red Rock Casino wedding portfolio. 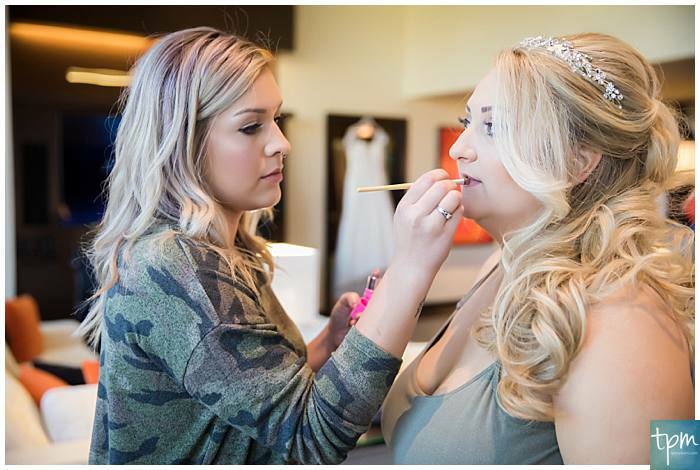 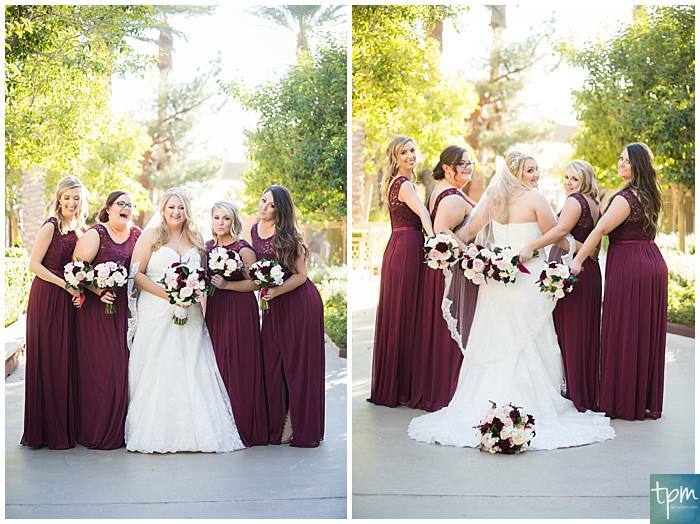 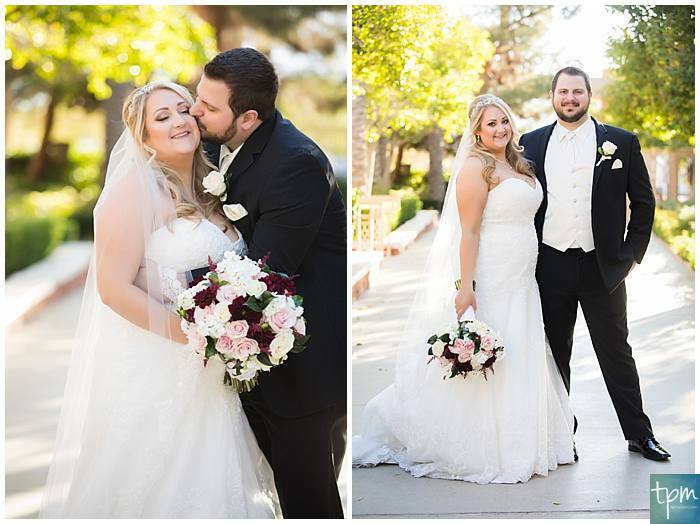 From Nina’s professional makeup and styling to her gorgeous gown and stunning bouquets enhancing the burgundy bridesmaid dresses, each unique detail came to life as depicted by our Vegas Wedding Photography. 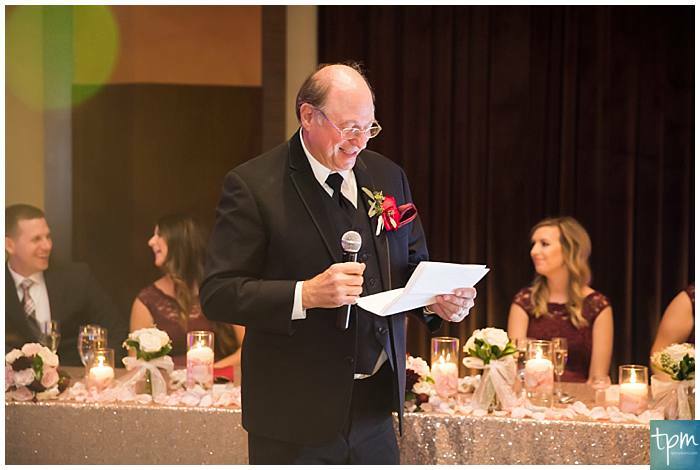 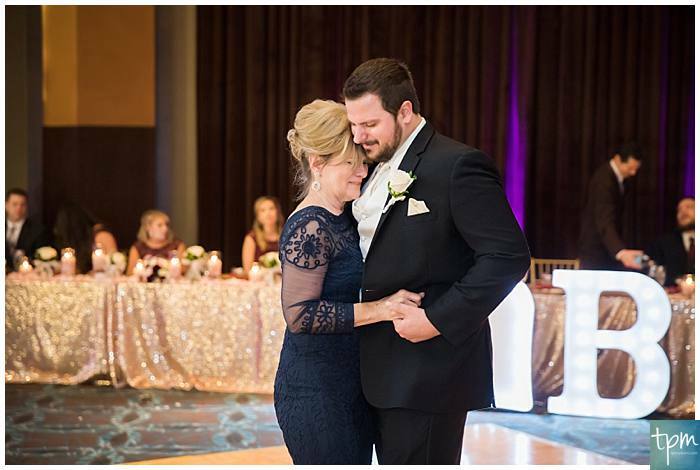 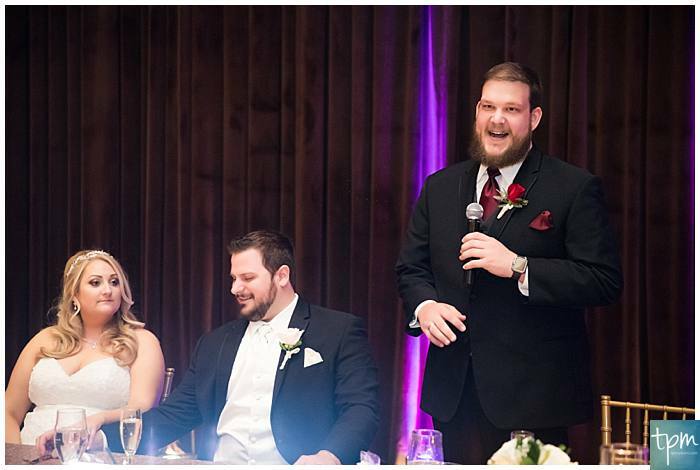 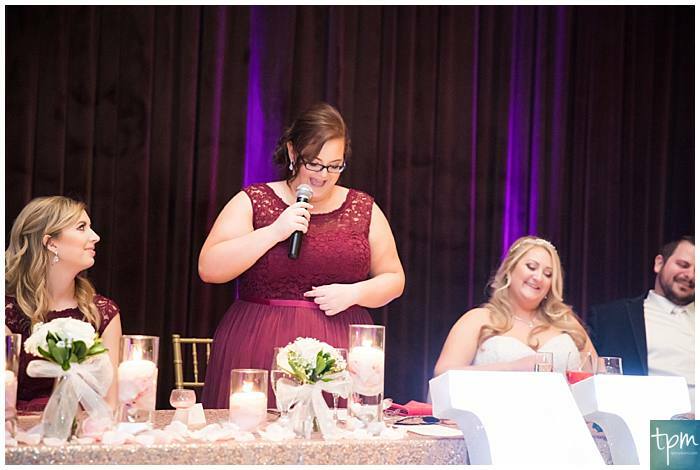 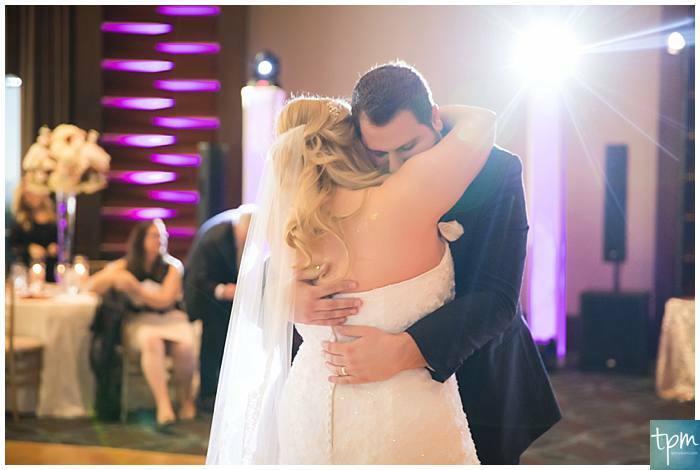 These beautiful moments extended into the reception at Red Rock Casino Resort. 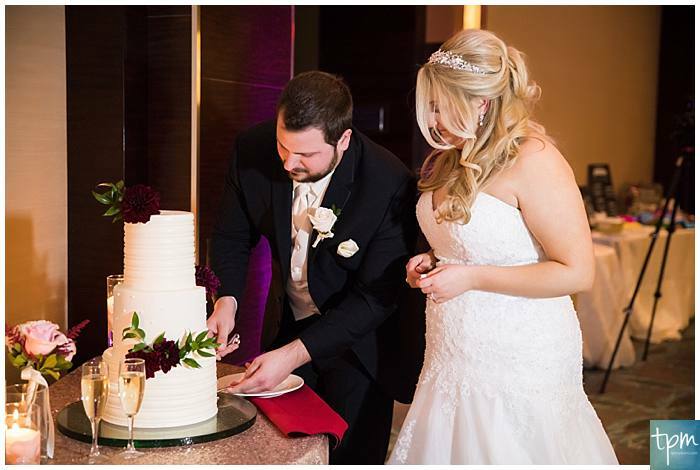 Located 20 minutes away from the Strip, the resort is an ideal spot for celebrating your nuptials. 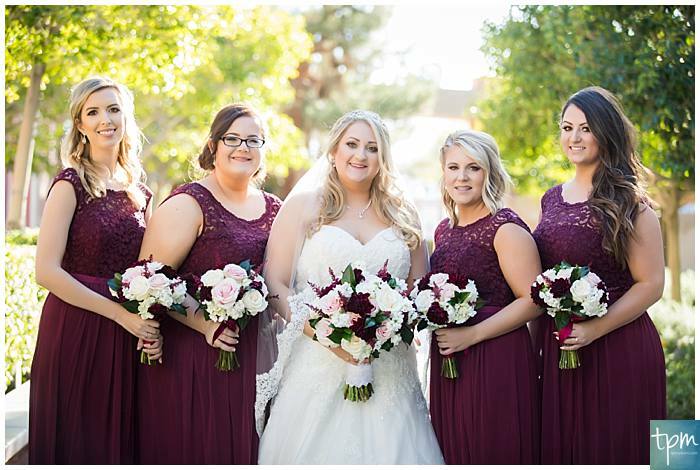 The relaxing location features incredible views of Nevada’s mountainous desert beauty. 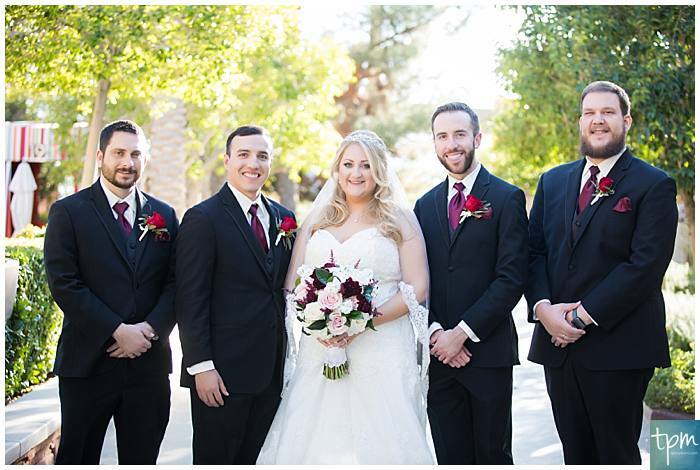 The entrance to famous Red Rock Canyon sits just a few miles away. 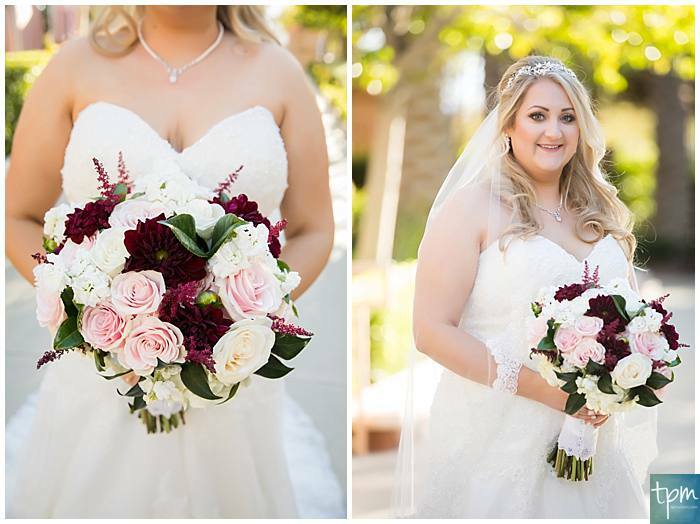 Nina and Brian were delighted with the resort’s exquisite chandeliers, red doors and sophisticated ambiance. 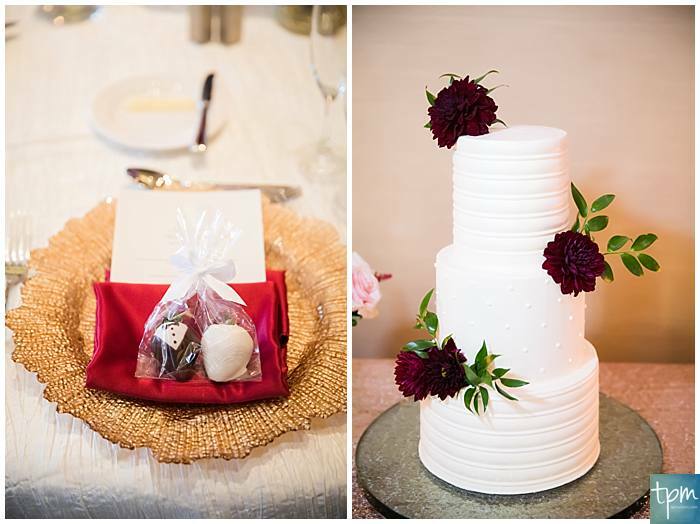 They and their guests celebrated the union with great music, food, drink and a stunning, delicious wedding cake. 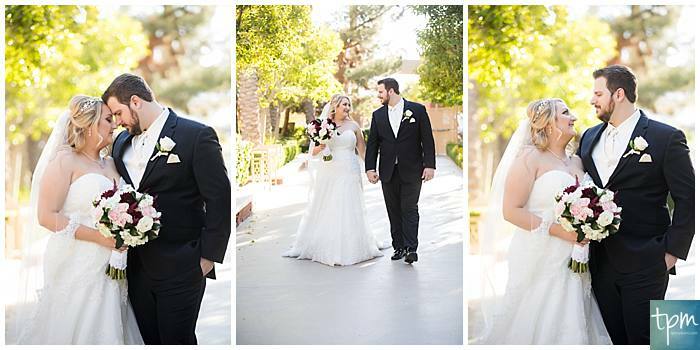 The aesthetic touch of Las Vegas Photographers beautifully recorded Nina and Brian’s vision of love.